On Friday January 18, 2013 representatives from the Guangxi College of Water Resource and Electric Power in China visited College of Alameda – one of the four Peralta Colleges that includes Berkeley City College and Laney and Merritt Colleges in Oakland – for the purpose of promoting international cooperation and exchange of knowledge and best practices. The visit was coordinated through the Sino-Canada Technology Exchange Center, which is based in Toronto with a branch office in Beijing, China. Its mandate is to promote the professional and business exchanges between China and North America. The center is also authorized by the Chinese government to coordinate visiting programs for the Chinese government agencies and departments in Canada and the United States. Interested in developing international cooperation and exchange programs with well-established U.S. higher educational institutions – in their efforts to promote innovative educational programming and quality education with a distinctive character – the Guangxi College of Water Resource and Electric Power, through the efforts of the Sino-Canadian Technology Exchange Center, organized a delegation of 20 faculty, staff and administrators to visit the College of Alameda. “We were so honored the College of Water Resource and Electric Power chose College of Alameda for their visit,” said CoA President, Jannett Jackson. “They are interested in identifying strong post-secondary institutions in the U.S. that promote innovative educational programming and quality vocational education, and CoA ranks high on that list,” added Dr. Jackson. Wishing to establish cooperation, the delegation, headed by Weijun Huang, Vice President of Guangxi College, discussed potential partnerships with their American counterparts, with the goal in mind of adopting solutions that can be utilized back in China. 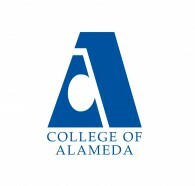 Of specific interest was College of Alameda’s career-oriented education programs and courses; its strategies and good practices in improving education quality, and effectiveness and outcomes of programs; and the college’s ability to maintain competitiveness through institutional improvement, innovative educational programming and curriculum design that responds to students’ and adult learners’ evolving learning and career aspirations and needs. Mr. Huang and his delegation stated that College of Alameda was chosen because of its extensive experience and expertise in developing highly interactive and practical technical education programs (especially, award-winning vocational programs, including the Transportation Technology Program, Diesel and Truck Mechanics Program, and Computer Information Systems Program) through extensive partnership building with associated industries, ensuring that curriculum is relevant and meets industry current and future needs, and thereby preparing graduates for excellent career opportunities.